1. It is illegal to challenge someone to a duel in Canada. 2. Before he was prime minister of Canada, Justin Trudeau worked as a bouncer at a nightclub and a snowboarding instructor. 3. In Ontario, if you operate a sleigh “drawn by a horse or other animal” you need to attach at least two bells. If you only attach one, you can be fined. 4. Anyone in Canada can send a letter to a member of Parliament (while it's in session) without paying for the postage. 5. Canadians eat more macaroni and cheese than any other nation. We like to add a can of tuna for the best tuna-casserole ever! 6. Kanata (or Canada) is an Iroquoian word meaning Village. 7. Canada covers 9,161,923 square kilometers (3,537,438 sq. miles) of the earths surface. It is the second biggest country next to Russia. 8. The longest national highway in the world, known as the Trans-Canada Highway starts in Victoria, BC and ends in St. Johns, NF. It is 7,821 km (4,860 miles) long. 9. Residents of Churchill, Manitoba, leave their cars unlocked to offer an escape for pedestrians who might encounter Polar Bears on the streets of the small town. 10. The Beaver is the national animal of Canada. 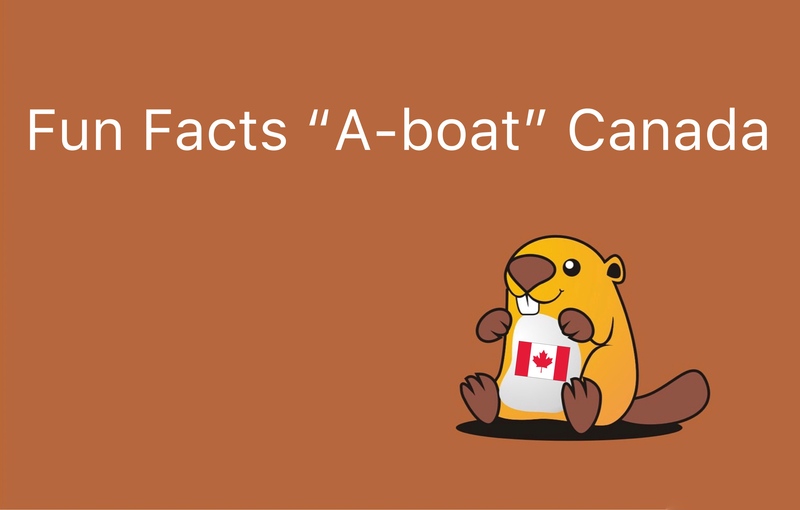 We hope you've enjoyed our first list of fun facts a-boat Canada. We'll have more fun fact coming your way soon. In the meantime, take time to take your beaver on a sleigh ride with a polar bear on the Trans-Canada Highway, and no that's not a euphamism for something...or maybe it is?